We believe in giving back. We believe that many disadvantaged people can be even more focused on Customer Service and Customer Loyalty because of their circumstance. We focus on hiring and training the best people, all based in North America, regardless of their disabilities and situations. This means you have people who truly care, relating to your customers. We can scale up within minutes to handle the chat volume of the smallest start up to the largest Enterprise clients. With our largest clients growing at rates of 20,000 plus customers a day we understand scalability and how to handle extreme volumes without issue. 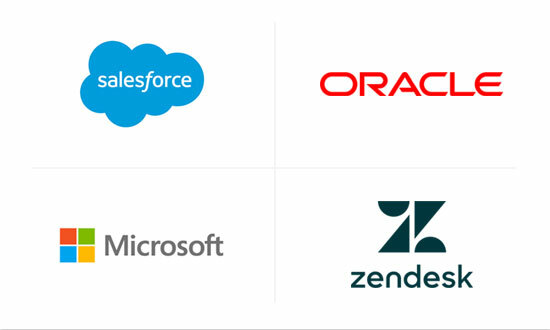 We integrate with all of the major ERP and CRM's to ensure that every online interaction will be directly written into your internal systems. No more missing leads, opportunities or off hours due to your sales or customer service staff needing weekends and evenings off. How can we enhance your customer service team today?